The electrocardiogram signal is a popular measurement of the electrical activity of the whole heart. It reflects the interaction and diversity of the electrical activity of cells from different parts of the heart. Rhythmically each cell changes the value of the transmembrane potential, and this change in the electrical properties of the cell propagates through the tissue producing the coordination of the electrical signal, which triggers the contraction of the whole heart. 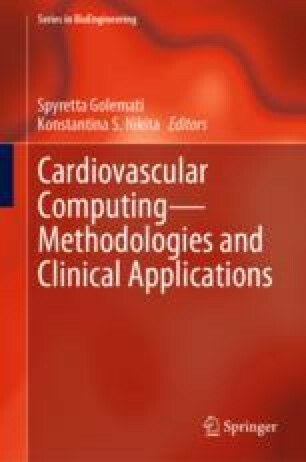 In this chapter we show the main ingredients for the description of the electrophysiology of a single cell and the different models for the propagation of the electrical signal along cardiac tissue. We discuss the main characteristics of certain arrhythmias and the corresponding patterns of electrical activity obtained in the numerical simulations. We acknowledge fruitful discussions with professors Blas Echebarria and Markus Bär. This work was partially supported by MINECO of Spain under the Ramon y Cajal program with the grant number RYC-2012-11265, and the Brazilian funding agencies FAPEMIG, CNPq, FINEP and CAPES.